Right at the heart of IMPACT, Thailand’s largest exhibition and convention space. Novotel Bangkok IMPACT is ideally located in the little known part of Bangkok, Muang Thong Thani. Discover the wealth of activities the unique satellite town has to offer. Suvarnabhumi Airport – Suvarnabhumi Airport in Bangkok is the main international airport in Thailand and one of the busiest in Asia. Around 50 million passengers travel through the airport every year. 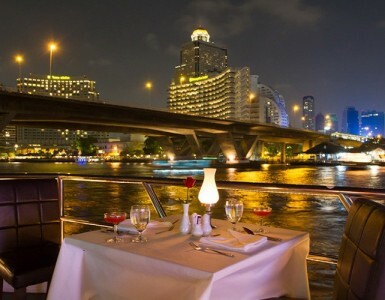 It is located 35 km from Novotel Bangkok IMPACT or a 45 minute taxi ride on the express way. 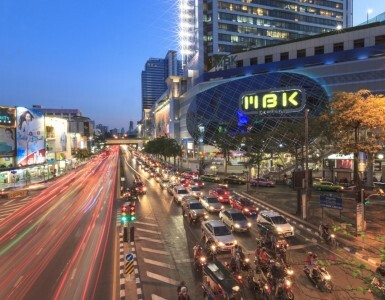 It is easy to get to Bangkok city center from the airport by airport link or taxi. Don Muang Airport – Don Muang is now the main hub for Nok Air, Thai AirAsia, Thai Lion Air and Orient Thai Airlines. An inheritance from its past as international travel hub are the many hotels in the area. The expressways are a fast, convenient gateway to areas like Lad Phrao and Chatuchak (and downtown Bangkok), and Rangsit in the north. Novotel Bangkok Impact is only 5 km from Don Muang airport, making us a great overnight stopover for travelers catching an onward domestic flight. One of the most recognizable features of Bangkok’s skyline is certainly the elevated train system or BTS. 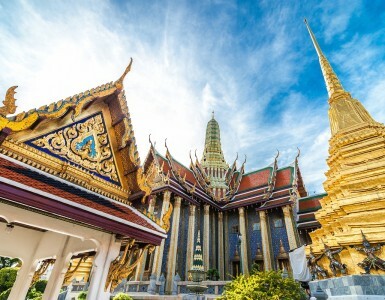 Bangkok Mass Transit System is a massive network of lines granting Bangkok residents and visitors easy access to all the interesting tourist sites, shopping and various locations around the city. Air conditioned and high speed, the system is built over 2 of Bangkok’s main arteries, namely Silom and Sukhumvit roads. The system consists of 34 stations running north and east of the city on Sukhumvit, with final stops at Mo Chit and Bearing. The Silom line which ties Silom and Sathon Roads, the Central Business District of Bangkok, has final stops at the National Stadium and Bang Wa. The lines interchange at Siam Station. The trains are clean and air conditioned, prompting the BTS to become the choice mode of transport for people living and working in Bangkok. Novotel Bangkok IMPACT is also accessible by BTS from the city to Mochit station, then by air conditioned shuttle to the hotel. Besides the BTS, Bangkok’s train system is also made up of the underground railway line MRT. Fast and efficient, the MRT network serves 18 stations and offers high speed and air conditioned comfort to visit places like Chatuchak market, Chinatown or Central Railway Station. The Bangkok MRT offers a convenient underground network linking areas that are not directly connected with the BTS Sky Train. The MRT is connected to the BTS via the interchange at Asoke station and Sala Daeng station. The closest MRT station to Novotel Bangkok IMPACT is at Chatuchak Park MRT station near Chatuchak market. When it isn’t raining or off rush hour, the easiest and most convenient way to get around Bangkok is by taxi. Most taxis are new, spacious and come in several fancy colors. We recommend the greed and yellow or blue company mainly because they tend to be newer and the drivers have a better notion of English. All taxi drivers have their name and registration number on the dashboard in case of emergency or loss, so be on the look out for those. Finding a taxi is not a hassle, especially around hotels, shopping malls and other tourist attractions. The fare starts at 35 baht, and stays there for the first kilometre. After, the fare gradually increases by 5 baht at a time (per kilometre). A surcharge applies in traffic jams (1.50 baht per metre when moving under 6 km per hour). Typical taxi fares for going a few kilometres are around 50 baht. If communication gets tricky, don’t forget to take one of our hotel business cards and feel free to call us anytime for assistance or translations.